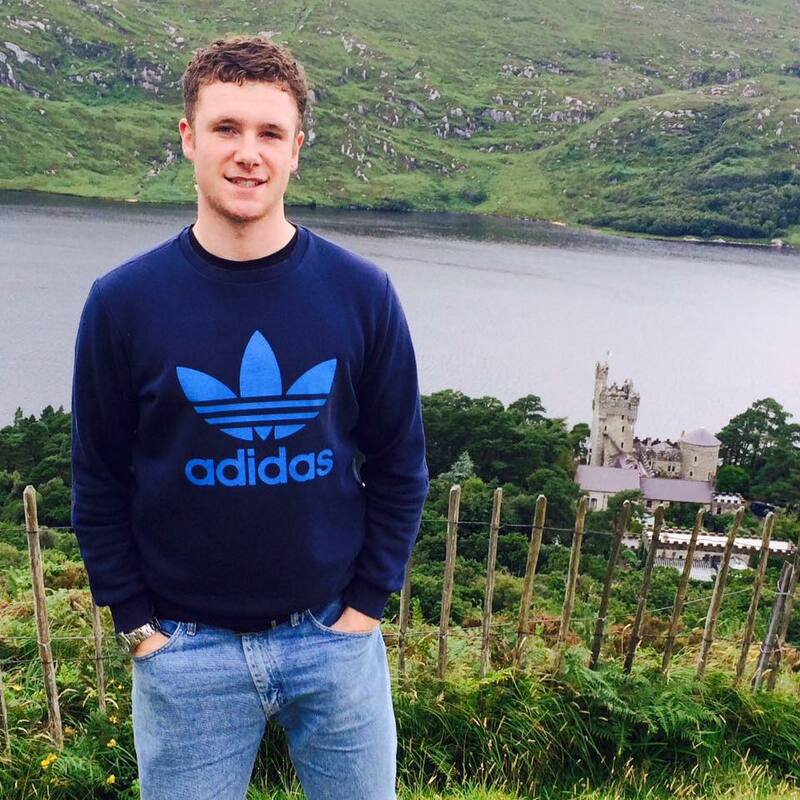 A special blog from our Ruairi, before he finished his placement here. We’ll forever miss him! There I was at my previous placement, ready to hand my notice in after thing’s had started to become too difficult to keep up. With almost 4 months completed, I was proud of the work I had completed, but I was working up to 47 hours a week on an unpaid placement. This put me in a very difficult position, but thanks to the help of family and friends I was able to strike up the courage to let the company know I was leaving. For weeks, I was phoning studios around Newcastle and a lot of the responses I got were either dead ends, or “We already have a student.” Luckily though, a company in Gateshead responded to my application and asked me to come in for a chat. With some background research, I discovered that ‘Get Carter Productions’ were a 16-year-old production company specialising in radio advertising. When I went in for the chat, I met Mark Thompson, the Studio Director. He came across as very professional, and we talked about anything and everything related to music, and radio. Get Carter had a great atmosphere, and I left feeling like we had a great impromptu meeting, and I was looking forward to hearing back from them. Not long after leaving the meeting, I was rung up by Mark, and I was offered a placement starting January! My hours were part time Tuesday to Thursday, which gave me the freedom to get a part time job and become fully independent. I now had time to: gain production experience, work part time, and pay my way in life. Whilst I had learned a lot at my previous placement, I was now able to support myself and was still producing during the week. What a result! After training with Mark, I can confidently construct an advert with one or more voices (and cut the breaths out.) I can add processors such as: a compressor for gain and clearness or lack of dynamics, EQ for clarity, cutting off the low end, and reverb for spatial perception. This experience was amazing to have. When I created radio ads, after making sure the Voice Over sounded perfect, I would then add the selected music track; chosen by the GCP writers, which will have been made by none other than Mark Thompson! I would then cut the last fade out of the audio clip, and edit in time with the music to fit to the usual 30 second slot most radio adverts adhere to. One thing I’d found to be a godsend was automation. I used it a lot to even out the high points of volume on the adverts. The music can sometimes drown out the voice so I would bring the volume down as the voice ALWAYS needs to be clear and audible. Once everything was mixed and I’m happy with the ad, I would get the thumbs up from Mark and then would run the whole thing through a plugin that would emulate the warmth of valve analogue processing units, with a compressor, distortion, brick wall limiter and saturation knob all in one! The plugin is a great tool for mastering, but what really brings out the potential of a track is EQ. Adding gain above 12k adds what used to be known as ‘Brilliance’ on old processors and would be known as clarity and shine nowadays. One moment of my Get Carter life I was very proud of was when I was able to add sound design for a campaign GCP were creating. I created the atmosphere in the ‘Dinner’ advert where I made use of a plugin which contains sound-banks of hundreds of reverberant spaces and the picture to go with it! Oh, and in the ‘Golf and Leisure Memberships’ advert, I created the atmosphere of a golf course too! As my time at Get Carter Productions has come to an end, I just wanted to thank everyone who helped develop my skills, taught me new techniques, and generally gave me some great advice. Not only are they friendly, but they’re just so helpful and wanted me to succeed. Thank you, guys, you made my placement fun, and I’ll remember it forever.